Stad Amsterdam was launched in 2000 as a result of an idea conceived during Sail 1995 and with the combined efforts of the city of Amsterdam and Randstad – a company committed to stimulating employment. The ship was built as a work experience project by unemployed young people and school leavers and now will be used for sail training whilst promoting the city of Amsterdam. 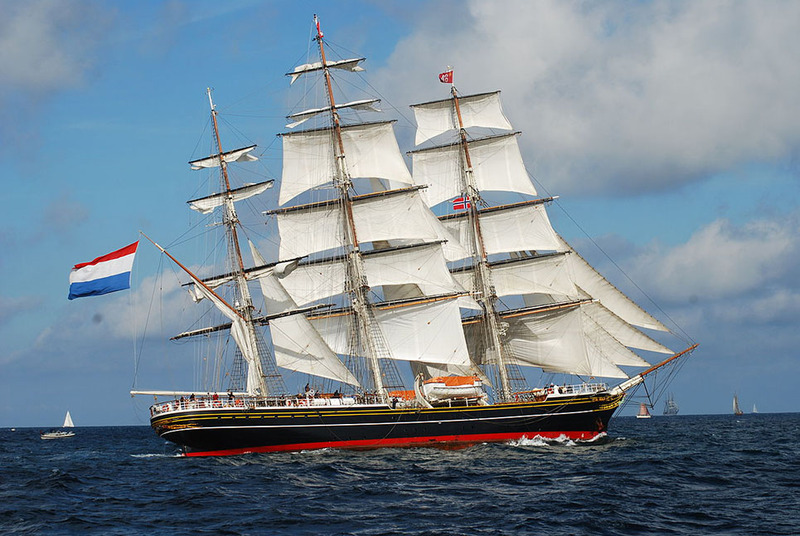 The Stad Amsterdam offers guests (trainees) a safe passage as well as an adventure. Fully unique, in every way. Join the red, white or blue watch under the supervision of the officer of the watch, together with a quartermaster and one or more sailors to learn the basics of sailing and become familiar with the manoeuvres that a three-mast square-rigger makes. Training on board the Stad Amsterdam may include (on demand) learning about the ship's organisation, safety (fire on board/abandon ship/man overboard), sailing (the rigging, the masts, standing rigging, square sails, stunsails...), theory of sailing, true and apparent wind, manoeuvres under sail (wearing, tacking, heaving to...), basic seamanship (rules for working aloft, most common knots on board...), and technical aspects on board Stad Amsterdam.